Clue Law specializes in complex Oklahoma divorce cases. Experienced in helping high net worth individuals and entrepreneurs with complex business structures and family trusts. Let us help protect you and your assets during a divorce. Clue Law also assists with adoptions, father's rights, premarital agreements, common law marriages and annulments. Regardless of the type of case she is overseeing, Ms. Luelling breaks down possible outcomes and makes it her goal to obtain the best one. She understands that a family conflict is stressful enough, which is why she strives to minimize the costs of representation. 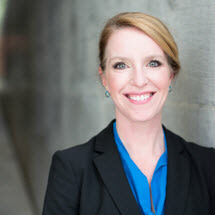 In the event the law firm is unable to secure a favorable solution with negotiations alone, Ms. Luelling relies on her deep experience and training as a civil litigator. As a former engineer, she approaches cases with a technical lens. This enables her to craft powerful courtroom strategies to protect her clients' interests. When she is not overseeing family matters, the attorney is helping businesses. She leverages her background in intellectual property and profit and loss responsibility to assist entrepreneurs and executives. Ms. Luelling worked for Nike's legal department and Kroger as a Production Manager. She knows business. Clue Law recognizes your time to explain your situation is valuable. Prospective clients around the Tulsa metropolitan area are offered 1 hour of comprehensive legal advice for only $100. Take the next step and contact Carrie Luelling now.